I want to get my B.A. before I go on my mission. Can I put in my papers when I am 22 or 23? I was 22 when I submitted my papers and just turned 23 and starting my mission in 1 and a half weeks to the California Los Angeles MIssion!! I seriously couldn’t feel happier about it! I don’t know how long it takes to get you B.A. I’m not from america. Woman can go on a mission at any age. there is no age limit for us, and we can also go on a mission multiple times before reaching retirement age (as long as were not married ofcourse. but after serving 1 mission we should give ourselves time to find a suitable husband and get married because that is our ‘duty’. Hi Jimmy! This is a great website you have here. I have searched and searched and am looking for the answer to this most important question! 😉 I served a mission at 21 and am not married yet. At what age can I serve another mission in the next 20 years? 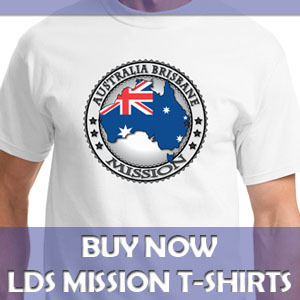 I am 27 and I do want to serve a mission but I not finacially able to and I may not be finacially ready until next fall. Am I or will I be too old to serve a mission next year? Brandie, I could be wrong, so double check this with your bishop or stake president, but I’m pretty sure there is no upper age limit for single sisters to go on a mission. God bless. Single women ages 21 through 39 are usually called to serve for 18 months. These sisters can make a valuable contribution in the mission field, and there is a continuing need for them to serve. Single women ages 40 and older are usually called to serve for 12 or 18 months. Those assigned to serve outside their country of residence are called for 18 months. Bishops and stake presidents make sure these sisters are in good enough health to serve effectively as missionaries. These sisters are called only to nonproselyting assignments. Missionaries and their families should make appropriate sacrifices to provide financial support for a mission. It is better for a person to delay a mission for a time and earn money toward his or her support than to rely entirely on others. However, worthy missionary candidates should not be prevented from serving missions solely for financial reasons when they and their families have sacrificed according to their capability. I was ecstatic to see this. 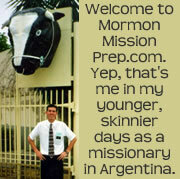 I was raised in the church and wanted to go on a mission when I was younger, but things happened and I fell away. I’ve only reactivated in the last year and it has wrought such a massive change on me. I want to share His light with the whole world, that they may feel the peace and joy I have felt. I am going to be 30 in just under 3 months and am very happy that there is no age cap to prevent me from submitting my papers. Lol, I bet I’ll probably be the oldest non-senior sister on my mission. Wish me luck! Are there any special exceptions that would allow a sister missionary to leave before she is 21? Meg, I’m sorry, but there are no exceptions that I am aware of. there are exceptions… your Stake or the Mission president (of the Mission you live in) can approve 1 month earlier. If you want to go with 20 however, your Bishop and Stake president have to approve it and state a reason (school… other personal reasons). So it’s possible to go before 21. I am planning to go with 20 3/4 and already talked to a mission president about it. He gave me this information. Hello, what other “personal reasons” besides school would qualify a sister to be able to go early? I have wanted to go since I was 13 and am barely 20. I am DYING to be able to go as soon as I can. I was under the impression that women could put their papers in up to 4 months before they turn 21… Is that correct? The bishop and stake president ensure that all missionary recommendation forms are prepared completely and accurately. The bishop or stake president sends these forms to the Missionary Department up to 120 days before the birthday or availability date of the candidate (whichever is later). A woman can turn in her papers 4 months before she turns 21, she is ‘allowed’ to turn 21 in the mtc or when she just arrived in the field (depends on how long your stay in the mtc would be). i would say turn them in 4 months ahead and let the brethren be inspired about you call and when you will be leaving on your mission. Whether or not you decide to go on a mission is a personal decision, and I would advise continued prayer and fasting to receive that inspiration. Also, continue to talk to your bishop about the financial situation and I bet he will have some good advice for you. As a general principle, if people are willing and able to serve a mission, individuals, families, wards, stakes, and others can usually come together to make it work financially. If you decide to go on a mission, and then prince charming comes into your life and you want to marry him. Well great. Don’t worry about. Follow that inspiration at that time. These are some very important questions you are wrestling with. And getting inspiration on these matters can often be difficult to recognize. May I suggest reading Elder Richard G. Scott’s April 2012 conference talk, How to Obtain Revelation and Inspiration for Your Personal Life. You have no idea how much you and your family can be blessed by your service as a missionary. I have had and seen others have remarcable experiences where the Lord has blessed families financially and in other ways through dedicated service. Do not feel like you serving a mission would put financial strain on your family. I know several people who have recieved help from their wards to serve a mission and through the course of their missions things have turned around for their families and their families have recieved sufficient means to always have what they needed. I’m not saying your family will get rich, but the Lord will look after you as well as them. You will never regret not serving a mission, but if you dont go you may wonder what if. Pray and fast. If you feel that you have recieved an answer, follow it. Dont let fear change those tender feelings you were sent. Good luck! It is so funny because your situation sounds exactly like mine! I am wondering what you decided and what has happened throughout this year? I am meeting with my Stake President tonight and my papers might be in this week!! I would love to talk with you about how the process went, the financial struggle, the internal struggle on what to focus on, what God wanted for me. I returned from my mission almost 5 years ago, and I haven’t even come close to getting married. Can I serve another mission? I really don’t know. Talk to you bishop or stake president. When you find out, please let us know. Thanks. Its music gentle to my ear. To form cool pools which seemed so near. Which earthly water could not end. A trial which has left me weak. The outcome of the call I seek. With gratitude for Spirit’s peace. Which beckon me to give my life. An awkward time of anxious youth. I still feel far from His full truth. To learn His will and find my place. That Christ would all my sins erase. So many prayerful nights I’ve cried. Were unseen angels near my side. I learned it cannot be enough. By grace, I’ll feel my Savior’s touch. Sisters, recall that the Spiritual Gifts of the Almighty are apportioned TO ALL. Yes, we need more Sisters, whose superior charity and purity are just part of their divine contribution to our weary world. Is everyone excited about the announcement sisters can serve at 19? I’m so jealous! Just wanted to say thanks for this awesome site! It is helping me answer my questions for my mission like none other! I reccommended it to my friends who have decided to go!! I turned 19 at the end of August, and to have President Monson announce the new ages for missionaries a month later truly answered my prayers! I should have my papers sent inless than two weeks! If anyone has any advice to further prepare, I would sure appreciate the help! i love this website!……it really helps me alot this week. Last week i was @ the hospital doing my medical check up, then the day after that i found my fomr got soaked up in the heavy rain just outside out the drive way…. Man i felt sooo hopeless, i ran up to our branch president if he has any extra form, unfortunately he doesnt. then i said to myself ohh maybe the lord doesnt want me to go on mah mission. just now as i came accross this website, i promised myself that i will go……. Hi .. jimmy .. I want go on a mission and also to spread the gospel of jesus christ but I do not allow my mother .. Due to problems in the study of my brother .. What do I do? I want to have the possibility to serve, but i m engaged and don’t have the money for a mission. I do really want to go on a mission but my boyfriend which are a return missionary is not so happy about the fact me going 18 month away. I m not sure, do you have some suggestion? Hello there- If you have the desire to serve a mission, then I can’t think of many good reasons not to do so! If your boyfriend worries about the effect of your mission on your relationship, then don’t worry- missionaries often put their relationships on hold temporarily. Send me an email if you could- I’d love to hear where you’re from, and what your plans are! Best of luck Sister! Thanks Jimmy for your information especially about the sister missions. I feel sad and a litte dissappointed how the church doesn’t use some experience sisters. I am a senior sister, who has a degree in social work and education. Life experience, I think you need experience people in alot of roles in the church. Especially when most men and woman the missionaries meet are struggling with something. Health issue for older people. I have met alot of missionaries in my life who were un well . My health was better than their. Figures show is an ageing population. I feel at times its all about younger men and woman doing missions. When in the real world its fare from this story. In fact its a cross range of people from different back grounds and skills. There some very famous woman in the bible , especially the old testament. Ruth, Esther, Hannah, Sarah. Debra in judges , she had a very high profile in the judges. The Catholic bible, the stories that werent selected for the bible. There was another famous woman called Suzahana, a woman who was treated badly and unfairly by the Elders of her faith. She prayed to God/Heavnly father for the truth to be revivled and it was. I have prayed often about this situation. Please give me some advice on why sister missionaries are not viewed as equally as mssionaries males. Especially older sister missionaries who have alot of experience and skills to deal with people from all walks of life. Louisa, I’m sorry you feel that way about the church and the role of sisters. The proclamation on the Family clearly states that men and women are “equal partners”, but this doesn’t mean that they have the same roles. In fact, men and women have different roles, responsibilities, and duties given them by God. I know that the Lord needs all of us, and there is a great work the Lord has in store for you, in this life and the next. If you will study the scriptures and be prayerful, I think you will come to know the will of the Lord for you. And as you study and pray about the words of the prophets, I think you will come to realize that as you follow the prophets, you will be following the Savior Jesus Christ. I wish you the best. May God bless and be with you. How much money should I prepare if I want to put in my paper in US next year? Missions cost $400 per month, and it is best to have it saved up in advance. For sister missionaries going on an 18-month mission, that means saving $7,200. I am turning 19 in October, but I’ve heard that I can turn 19 in the MTC. Would I put my availability date three weeks before my birthday? Would that also mean that I could turn my papers in three weeks earlier as well? I have heard rumors like that for years as well. And though it may have happened, it is not the general rule. 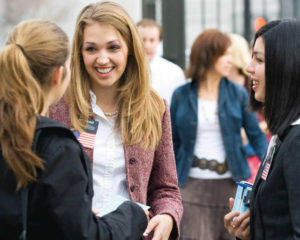 The instructions given to priesthood leaders regarding the mission application is pretty clear: “The date given in the “Date available to serve” field should not be earlier than the birthday when the missionary reaches the minimum age for service.” Therefore, your earliest availability date should be the day you turn 19. Good luck, and God bless. Hello, just wondering how long of a time gap there needs to be before serving a second mission. I returned about 3 years ago and would like to go again. Am I eligible? Good luck to all the new Sister Missionaries going out at the new age of only 19! We love how this has enthused and built a fire of spirit for Mission work. We will always make sure to carry LDS Women’s Clothing and Sister Missionary Clothing that is attractive, cute and will last your whole mission! This site is a great resource for all missionaries and whoever dedicates the time, whether it is a calling or not we thank you for it! Come by and see what cute sister missionary clothes you can find and let us know what we can do better! Im so grateful with the later day saint,lm 18 now but lm planing to start A level next 2 years befor mission. Is it ok if l go first to school or …? It may be in the discussion already, but how long does a sister have to wait before she can serve another mission for the LDS Church? I don’t know the answer to that question. I’ll have to see what I can find and get back to you.